Continues lines of light, without limits. 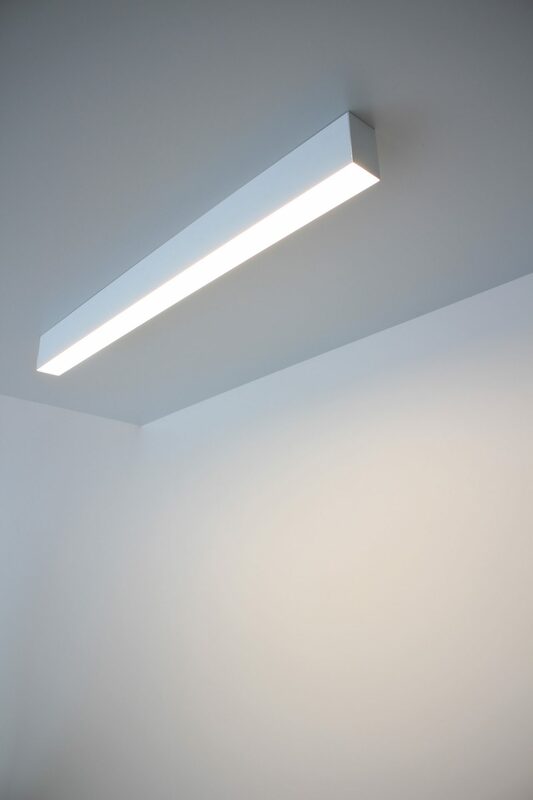 Each led module can be cut every 8 cm, this gives architects and lighting designers a lot of ﬂexibility. 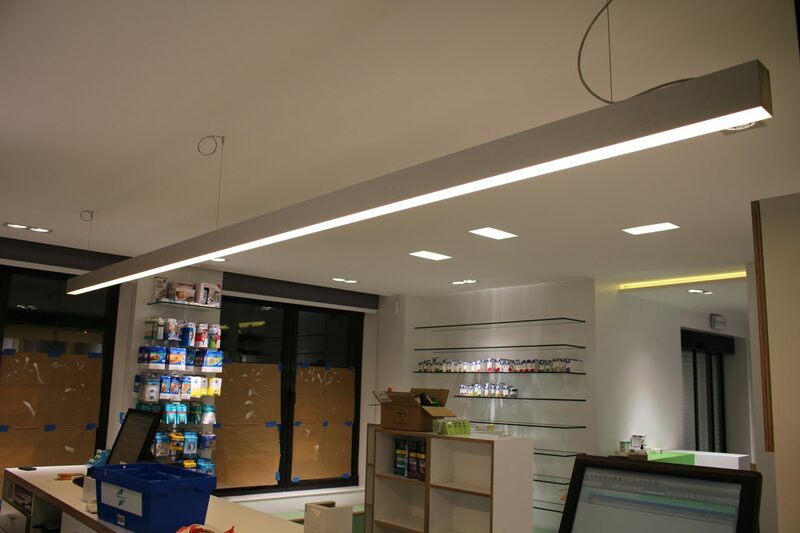 Led line has a very good efﬁciency. 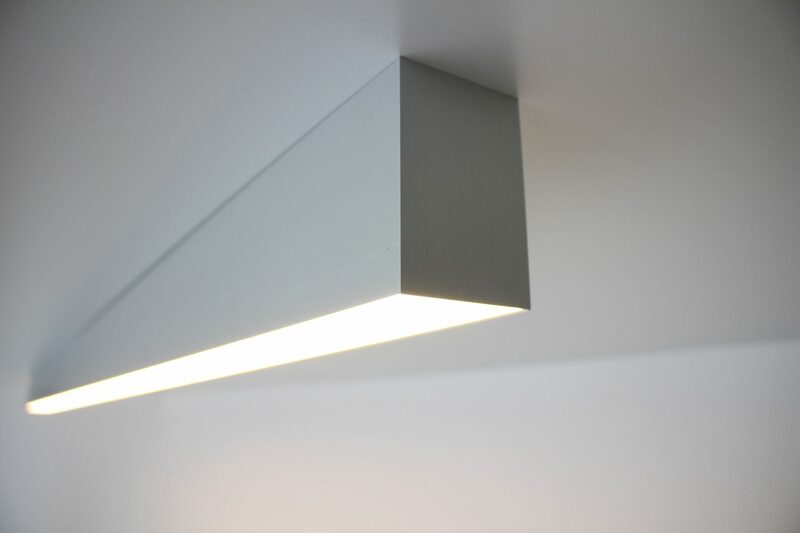 A high tech diffusor was implemented to block as less light as possible and still give an opal look. 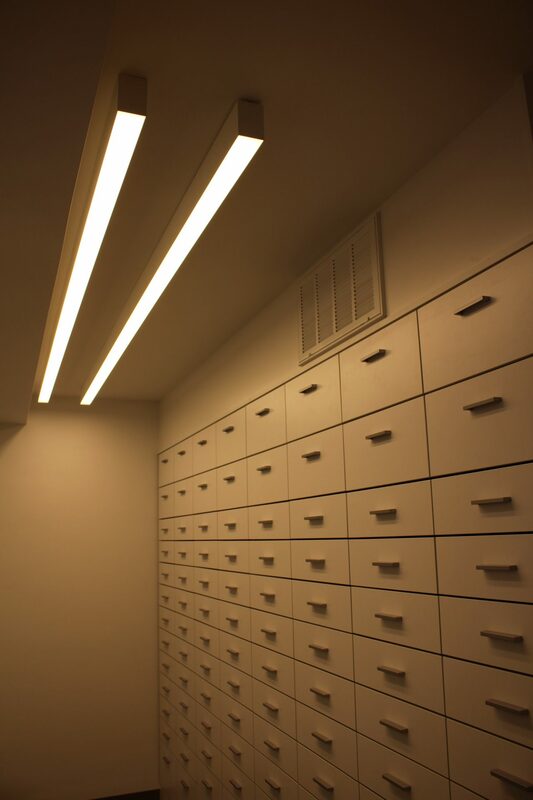 Led line can be installed surface mounted, recessed and pendant. It offers two control possibilities: DALI and 1-10V. Available in anodized aluminum, black or white.